This Quinoa & Pepper Pilaf recipe has been compensated by Collective Bias, Inc. and its advertiser. This post contains affiliate links. Obviously I love to cook, but with summer here I do not want to spend all my time in the kitchen. I want to eat quickly and then get outside and enjoy this gorgeous weather we’ve been having. I’ve been making a lot of quick meals that are ready in 30 minutes or less, and this Quinoa & Pepper Pilaf is one of my regular go-to recipes for summer dinners and side dishes. 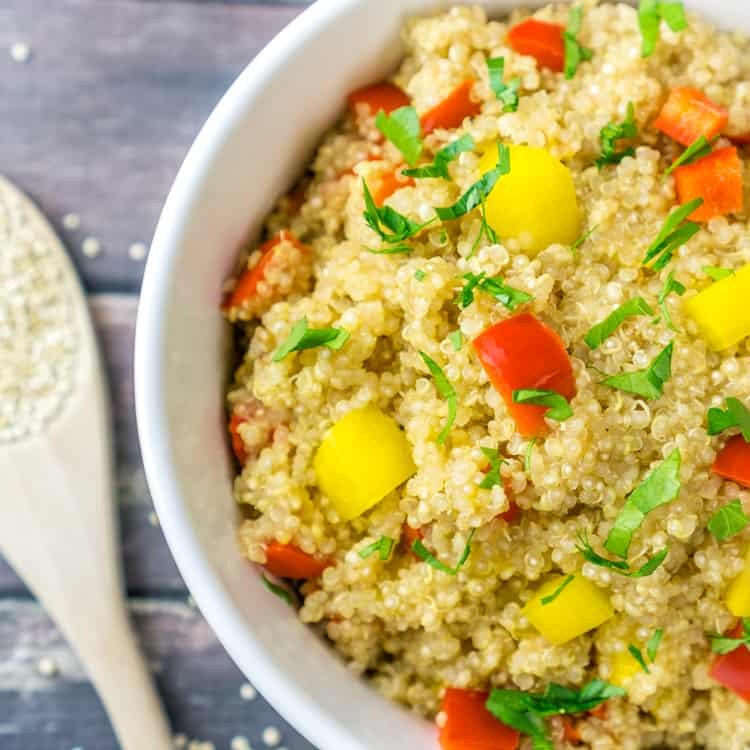 I love that the Quinoa & Pepper Pilaf can be eaten hot, warm, or cold – so while it is perfect for summer entertaining, it is actually a great dish year round. This Quinoa & Pepper Pilaf is great for family meals but would also be a huge hit at a cookout, potluck, or a summer block party! The Swanson Chicken Broth adds a ton of flavor to the Quinoa & Pepper Pilaf – much tastier than cooking quinoa in water! The truRoots quinoa is a USDA organic, non-GMO project verified whole grain. 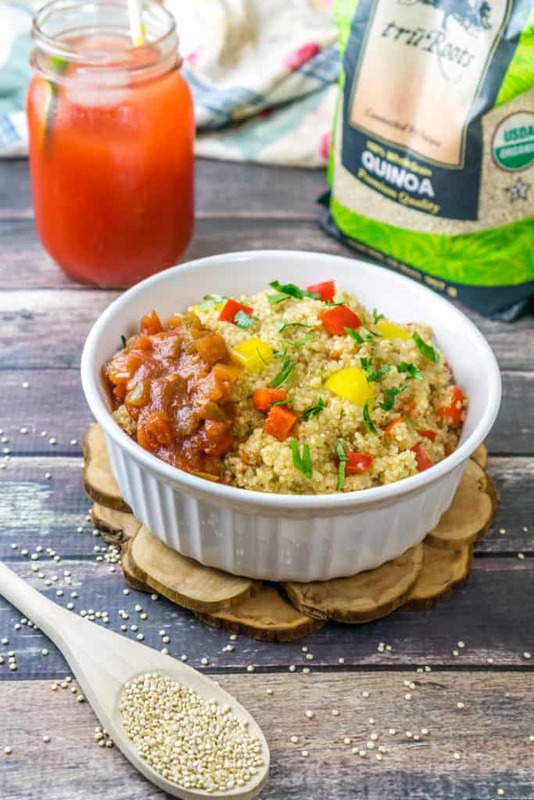 Quinoa is one of my favorite things to cook because it is so versatile and timeless. Pace Organic Salsa for a little kick! 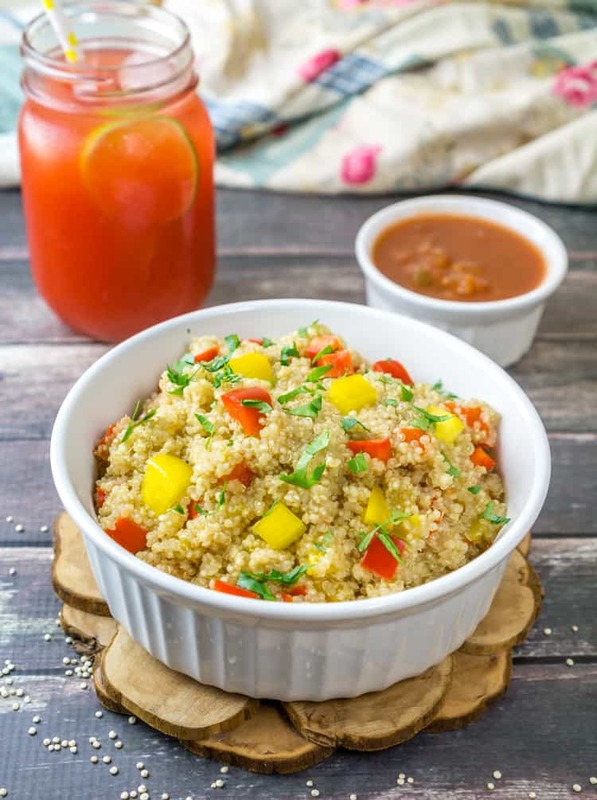 Enjoy this Quinoa & Pepper Pilaf year round - it's delicious served hot or chilled. Heat the olive oil in a medium pot over medium heat. Add the minced shallot and garlic and saute for 2 minutes. Add the diced bell peppers and quinoa, and cook for 2 minutes, stirring frequently. Add the Swanson Chicken Broth, stir, and bring to a boil. Lower the heat and cook for 20 minutes, or until the quinoa is fully cooked. Flake with a fork and stir in the chopped parsley.